Have You Hugged A Gun Today? 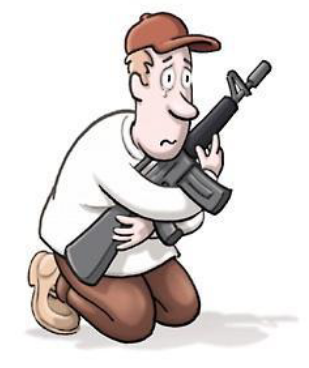 pa2a.org » The Armory » General Gun Discussion » Have You Hugged A Gun Today? It has been an increasingly sad period in the history of our country. Some of us have seen these days coming for a long time. The people who want to control every aspect of your life are one step closer to their fascist utopia as each day passes. The propaganda machine is in full swing and they will stop at NOTHING to get you to kneel to their authority in blind submission. This is America's reckoning. This is America's wake up call. We contact the people who claim to represent us but our cries fall on deaf ears. We vote in a rigged system set up to glorify two parties for which we have been brainwashed into believing we have no other choices. A popular vote means nothing and the winner decided by the one with the biggest wallet. We cry out in protest while each of our liberties are stripped from our sore hands every day. We mourn the future of our children and their children, a future that promises to be wrought with injustice and pain and suffering. Liberty is dead. Have you hugged your gun today?